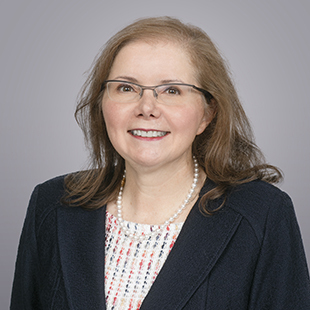 Maria T. Rico joined QuadReal as Senior Vice President, Finance & Accounting in August 2018. She leads the company’s teams which deliver financial reporting critical to the execution and achievement of QuadReal’s corporate objectives. Maria brings significant public company financial reporting expertise from the real estate industry. She was formerly Associate Vice President, Finance for Real Estate and Real Estate Investment Trust (REIT) at Canadian Tire Corporation (CTC) where she led teams responsible for the public company financial reporting of real estate activities for both CTC and CT REIT. Maria also provided financial leadership for the initial public offering of CT REIT. Previously, she held senior finance positions with RioCan REIT, O&Y Properties Development Corporation and O&Y REIT. Maria holds a Bachelor of Commerce degree from the University of Toronto and is a Certified Public Accountant and Chartered Accountant. She currently serves on the Board of Women’s College Health Research acting as the Chair of the Finance Committee. She was also a member of REALPAC’s Financial Best Practices Committee. Maria is thrilled to join QuadReal’s dynamic, cross-functional teams as it expands its operations globally and drives to achieve its corporate objectives.